Hamilton is most often overlooked in North Island itineraries but there are some awesome things to do around the area and it’s only an hour’s drive from Auckland. Check out the Hakarimata Loop Track which is in North Waikato – the walk takes you past two large kauri trees that are over 30 meters high and are estimated to be over 1000 years old. The full loop walk is 4.5km so it will take about 2 hours with 1500 steps, but the view at the top is totally worth the hard work. 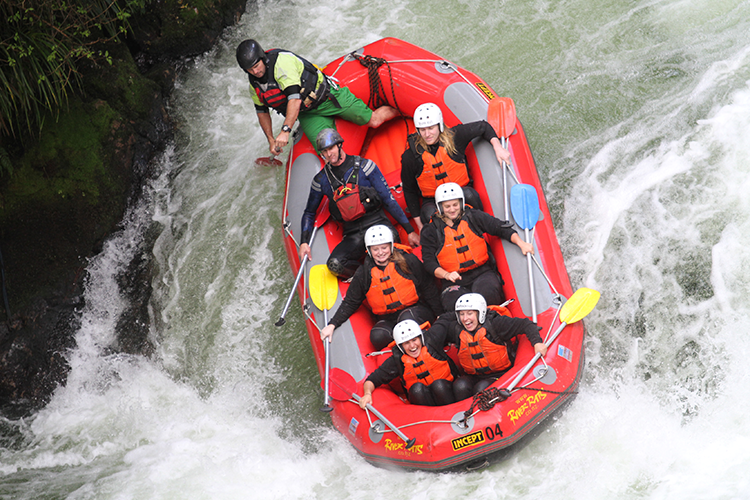 Keeping up with adventure activities we recommend stopping off at Waitomo and trying out the popular Black Water Rafting. 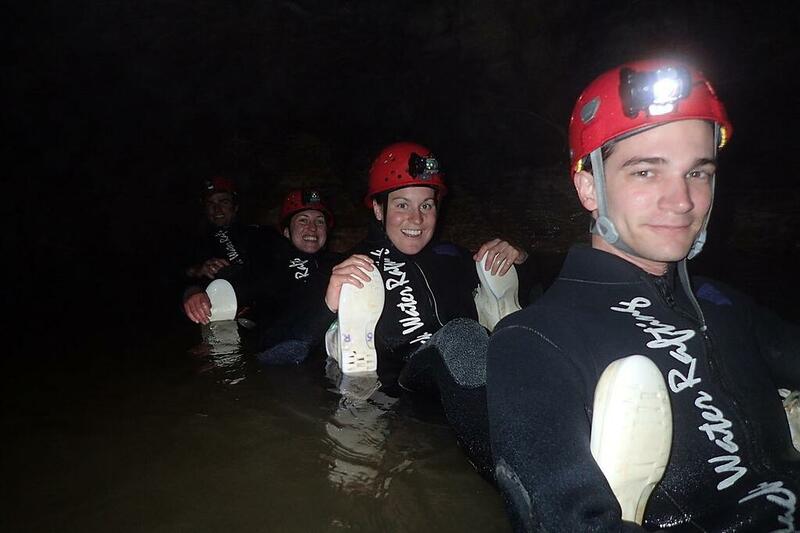 Take on the original tour that takes you through Ruakari Cave via a rubber tube for a 3-hour adventure of exploring caves and jumping into underground waterfalls. The experienced guides will give you an adventure like no other – a great activity to tick off the bucket list. After a big day of adventures drive to Rotorua for a good night’s rest before another action-packed day in Rotorua. Begin your day at the award-winning Rotorua Canopy Tours trying out the adrenaline filled Ultimate Canopy Tour. The 3.5-hour adventure that introduces you to beautiful New Zealand native forest is like nothing else you would have ever experienced. 400-meter ziplines, magnificent swing brides and cliff walks over lush, native bush whilst learning about the past, present and future of the forest – it sure will be a thrilling morning adventure. 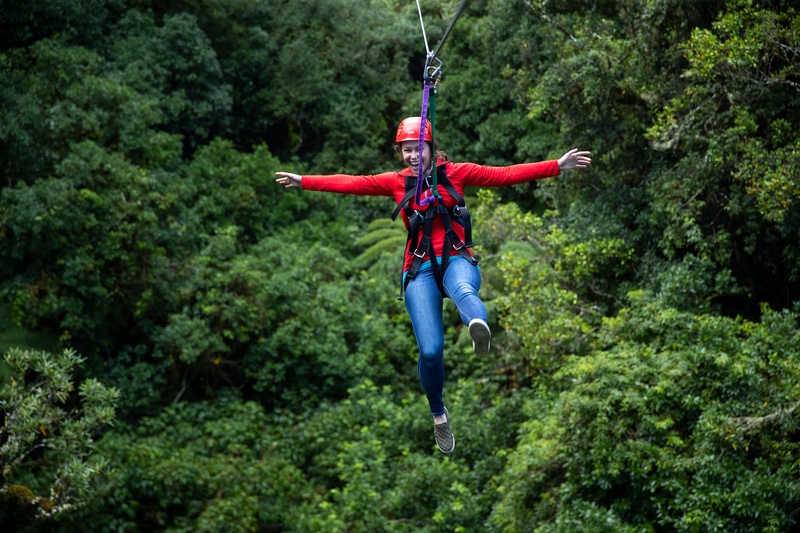 Book the zip and roll package so you can save some money on the adventures at Rotorua Canopy Tours and OGO. Places to eat: Check out the historic and well-known restaurant and pub - Pig and Whistle. Arts Village Café is another favourite of ours - it has awesome coffee, food and friendly staff. After spending a second night in Rotorua head to the outskirts and enjoy a slice of paradise at Okere Falls. Do more than the walking track to see the 7-meter-high waterfall - book in a rafting tour with River Rats and enjoy seeing the magnificent piece of nature from the top in an inflatable rafting boat. The experienced guides make sure you are warm by dressing you in a wetsuit to ensure you don't feel the cold. It's an adrenaline filled 2-hour adventure that you don’t want to miss. Places to eat: Make sure you check out Okere Falls Store for some delicious food – the Vegetarian Nachos are the BEST! Spend the afternoon driving to Taupo – stop off at Huka Falls to see the largest falls on the Waikato River rush through a 20 meter wide gorge and down a 20 metre drop. 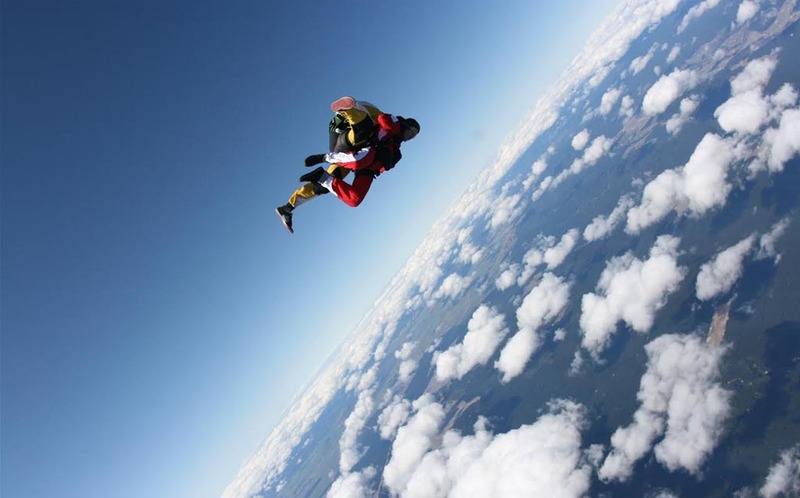 Why not try out the ultimate Skydiving adventure in the beautiful area of Taupo. The views will be magnificent looking out over the largest lake in New Zealand while free falling into thin air. Tandem skydiving has a team of experienced guides that will give you an adventure of a life time. We couldn’t recommend it any more – it’s a must do! After an action-packed morning you might feel like doing something a bit more relaxed, so we recommend taking the afternoon a bit slower and enjoy the waters of Lake Taupo. Hire a kayak and enjoy an afternoon paddle whilst discovering the beauty of the lake. Check out Taupo Kayaking Adventures to hire your kayaks or even get guided tours to learn more about the area. In the evening, make your way to Tongariro to finish off this awesome 5-day adventure completing one of the iconic must do adventure walks in New Zealand. Places to eat in Taupo: L’Arte Café & Gallery and The Fish Box for some classic New Zealand kai (food). Finish off your 5-day adventure with a bang and give the Tongariro Crossing a go. The 7-hour tramp that is well known for being the best one-day trek in New Zealand covers 19.4km of terrain displaying outstanding natural features of a volcanic alpine. Make sure you do your research prior to beginning the walk as you need to be prepared for all weather conditions, the weather can be very unpredictable. Make sure you pack warm clothes and plenty of food and water. Be prepared to witness one of the most beautiful views New Zealand has to offer. We think this is the best way to finish off an epic 5 day of adventures in the Central North Island!